HAVE you ever bumped your head while getting into or out of an automobile? If so, you undoubtedly will be greatly interested in a recent invention coming from England. 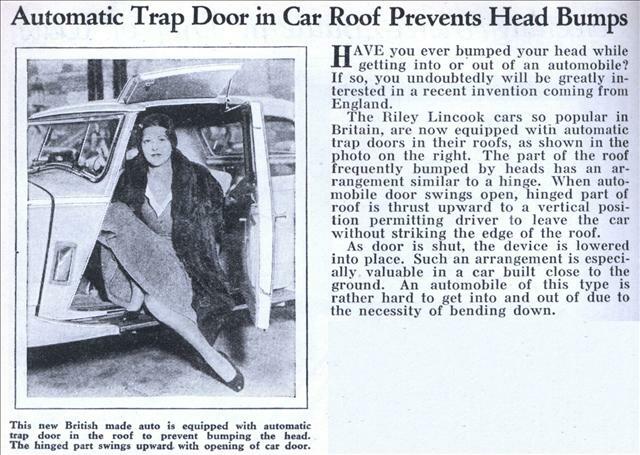 The Riley Lincook cars so popular in Britain, are now equipped with automatic trap doors in their roofs, as shown in the photo on the right. The part of the roof frequently bumped by heads has an arrangement similar to a hinge. When automobile door swings open, hinged part of roof is thrust upward to a vertical position permitting driver to leave the car without striking the edge of the roof. As door is shut, the device is lowered into place. Such an arrangement is especially valuable in a car built close to the ground. An automobile of this type is rather hard to get into and out of due to the necessity of bending down. HAVE you ever bumped your head while getting into or out of an automobile? Quote: HAVE you ever bumped your head while getting into or out of an automobile? No. Then you’ve never driven a British sports car. Low slung, low doors, and an utter lack of ergonomic forethought. Gonged myself on more than one convertible top edge getting in and out of Healeys and MGs. Even the wife’s Miata is a right nasty bugger to get in and out of unscathed with the roof up. Have I ever bumped my head getting into or out of an automobile? Yes, Ford full size pickup, still have a three inch scar. 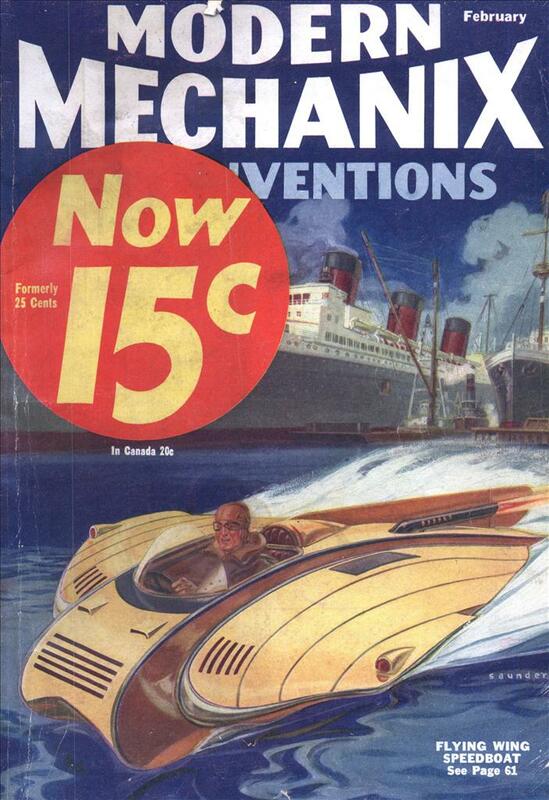 And, don’t get me started on these downsized vehicles where I would have to be made of rubber just to get inside. Negative headroom seems to be the rule, plus no shoulder room. Want to have fun with a car dealer, take me with you. We could quickly eliminate every midget and dwarf mobile on the lot. I forgot to mention foot room, have you ever been in a car or truck and hit all three pedals with one foot at the same time or had so little room you couldn’t even hit the pedals. Yes, my old 1995 Toyota Tercel. Especially in the winter with the combination of heavy boots and cold seat foam reduced the space available by tiny but important amounts. Good car but incredibly compromised for its’ (utterly bland) styling. I wonder how anyone could avoid the head bump?